"Aix (Terrier) Class 0-6-02 No. W8 'Freshwater.'" 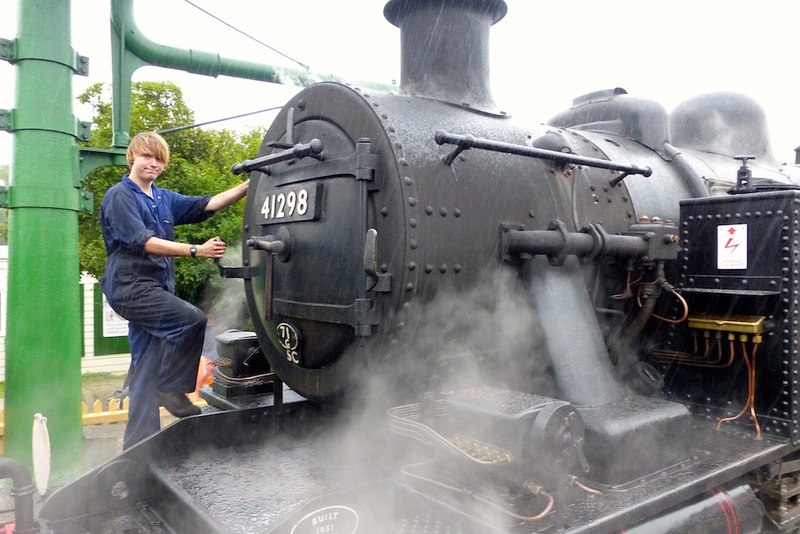 Isle of Wight Steam Railway (this whole website is excellent). Allen, P. C. Railways of the Isle of Wight: 150th Anniversary 1864-2014. 2nd ed. Stroud: Amberley, 2014. Carpenter, George W., rev. "Stroudley, William (1833–1889)." R. C. Cox. Oxford Dictionary of National Biography. Online ed. Holland, Julian. Dr Beeching's Axe Fifty Years on: Illustrated Memories of Britain's Lost Railways. Exeter: David & Charles, 2013. Long, Richard. Isle of Wight Railways: A New History. Shepperton, Surrey: Ian Allan, 2015. Maycock, R. J. The Isle of Wight Railway. Usk, Wales: Oakwood Press, 2001. Panter, Marie. Railways of the Isle of Wight. Catrine, Scotland: Stenlake Publishing, 2013. "The Train Ride: Havenstreet." Isle of Wight Steam Railway.